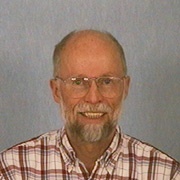 Professor Emeritus at the University of Virginia. "Concepts can never be real because all concepts change, and Reality never changes. However, concepts can be true, meaning that they can negate concepts that are untrue. Untrue concepts are those that assert and maintain the reality of objects, such as the world, the individual, and the body, either explicitly or implicitly. A primary purpose of this course is to see the unreality of all objects. In this way, Reality is uncovered and becomes Self-evident." "The assumption of an external reality is the assumption that there is a real world that is external to our mind and senses, and that it exists whether or not we as observers exist, and whether or not we are observing it. This assumption cannot be proved because all of our perceptions, without exception, are mental images, and we have no means to go beyond our mental images. It is one we all commonly make without even thinking about it. We assume the office and the computer in it are there after we leave work at the end of the day and will be there when we arrive at work in the morning. When we head home at the end of the day, we assume that our house or apartment will be there when we arrive, and that it continued to be there in our absence after we left in the morning. We assume that our friends, relatives, and acquaintances are there whether we can see and talk to them or not, and whether or not we are thinking about them. We assume that our parents existed before we were born, and that many of the people we know will be alive after we die. So many of our everyday experiences repeatedly confirm this assumption that most of us hardly question it. It is an assumption that has enormous survival value: we know that a speeding car can kill us while we are crossing the street absorbed in our thoughts and unaware, that a stray bullet can instantly obliterate our consciousness without warning, or that we can die from an external agent such as a virus, bacterium, or poison."